The Armenian drug regulator has approved Latvian-designed anti-cancer medicine Rigvir, said LETA Krista Gromova, a representative of Rigvir company. Rigvir board chairman Jurgis Auzins said that registration of drugs is a time consuming and complicated procedure during which all drug safety and efficiency aspects are being evaluated. So far patients from more than 50 countries, including the US, the EU, Russia and the Middle East countries have been treated with Rigvir. Patients from other countries may use the medical tourism opportunities to receive virotherapy. Virotherapy is becoming more and more popular across the world. Oncolytic virotherapy is a unique cancer treatment using a virus Rigvir that finds and destroys malignant cells in the human body. Virotherapy has been proved to be an efficient and safe treatment method. 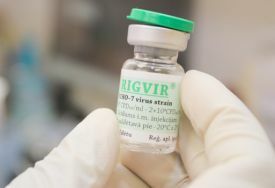 Rigvir virus was discovered by Latvian professor Aina Muceniece in the 1960s. Since 2011, the medicine has been fully compensated for Latvia’s melanoma patients. Since 2015, virotherapy has been included in the national guidelines for skin cancer and melanoma treatment. According to Firmas.lv business database, Rigvir last year generated EUR 533,055 in turnover and earned EUR 160,312 in profit. Rigvir was founded in 2014, and has a share capital of EUR 2,800. The company belongs to several individuals.